Hearing voices, living fully - Claire Bien, M.Ed., is a writer and grant writer at The Connection. She is also a voice hearer and formed the Hearing Voices Network support group at Yale-New Haven Psychiatric Hospital. Her memoir, Hearing Voices, Living Fully: Living with the Voices in my Head, was published by Jessica Kingsley Publishers in 2016. They call this 'help' - Otto Douglas is a university graduate whose psychiatric incarceration opened his eyes to a previously unknown world — a world in which human rights abuses are openly perpetrated against others as a matter of course. Having come to realize what a threat coercive psychiatry poses to ordinary citizens around the globe, Otto is now passionately devoted to the cause of securing and protecting the fundamental human rights and freedoms we are all entitled to. Developed and produced by people with experience of mental ill health, 4Pi (which stands for principles, purpose, presence, process and impact) is a framework for the involvement of service users and carers: in our own care, in our communities, in service delivery and evaluation and in organisational governance and strategy. Over 60 orgsanisations have already adopted the standards. To find out who they are, read case studies about 4Pi in practice, and get the resource pack please visit here. Last week we told you that NSUN have written to the new Prime Minister asking for investment in user-led, community and self-organised support. We have also drawn attention to the National Involvement Standards produced by people with lived experience of distress and carers. Our letter was forwarded to the Department of Health, who replied on 27 July. You can read both our letter and the DoH's reply here. Do you have experience of being restrained? NSUN, together with colleagues from PROMISE and the Service User Research Enterprise at Kings College London (SURE) are seeking your direct experience and views on the practice of restraint in order to influence mental health services both in in the UK and internationally. 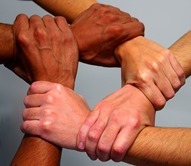 The Survivor Researcher Network (SRN) is an independent, user-controlled and diverse network for all mental health service users and survivors who are engaged in or interested in research. 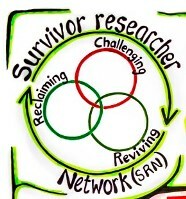 The network is hosted by NSUN and in early 2016 a working group was assembled to seek funding to re-establish the network to support and grow survivor research. On Tuesday 26 July 2016, members of the SRN met for a seminar entitled ‘Reclaiming, Challenging and Reviving Survivor Research’. Many mental health policy documents state that involving service users and carers in care planning is fundamental to improving the quality of their care. However, there is substantial evidence that this does not always happen. The purpose of the EQUIP (Enhancing the quality of user involved care planning in mental health services) programme is to develop a training package for mental health professionals, which is led by service users and carers to enhance services user/carer involvement in their care planning. The research team are currently recruiting for a questionnaire for service users and carers. The aim on this questionnaire is to find out about your preferences for different aspects of involvement in care planning and which matter most to you. It will help us understand how important different aspects of care planning are to you, as service users and carers. Refuge, the band behind the Leicestershire-based project Moving In Wards, are delighted to announce that after the success of the initial sessions on the Older Peoples Wards, Leicestershire Partnership NHS Trust have now extended the project from six months to one year. Refuge participated in the creation of a mindfulness and music album which will be released on 10th September. 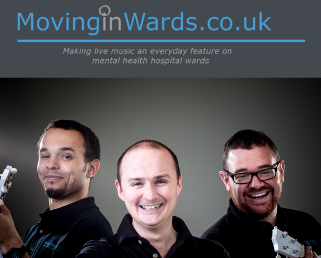 The album features a CD of 7 mindful, body scan practices written & spoken by Claire Evans of The Centre of Wellbeing combined with complementary music from Refuge plus a CD of 7 original tracks from the band. 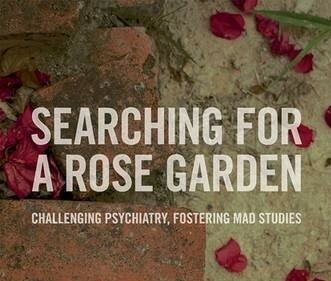 Searching for a Rose Garden is an international collection of mental health writings by activists, academics and researchers which showgrounds new thinking and innovative practice in survivor-led interpretations of and responses to mental distress. It shifts the gaze away from criticising and challenging psychiatry towards ground breaking concepts for progressive research and practice. The contributions in these pages emerge from the experiential knowledge of the writers and offer new understandings of the potential of first-person knowledge and survivor-leadership. Essential new reading in the emerging field of Mad Studies. Closing Date – 23 August 2016. If you have first-hand knowledge and experience of using mental health services, and think you have what it takes to speak up for people in a similar position to you, Sussex Partnership would love to hear from you. Together for Mental Wellbeing is a national charity that supports people with mental health issues to lead fulfilling and independent lives. Together values people as experts in what works best for them, and each individual the organisation works with influences and shapes the support they and others receive. The organisation is looking to recruit a trustee who will demonstrate passion and commitment to improving the lives of people experiencing mental health issues, sharing Together’s values about wellbeing and service user leadership to join the board. You should be someone who identifies as having direct, personal experience of using mental health services, past or present and be able to use this experience positively in the role. Organised by Harrow CCG, the purpose of this event is to update parents / community where the CCG is with the development of the Emotional Health and Wellbeing Service. They will also discuss what events are coming up and the expectations of the CCG. This event offers a unique window into peer-led activism in the United States. ORYX COHEN produced the film and is a board member for Hearing Voices Network USA. 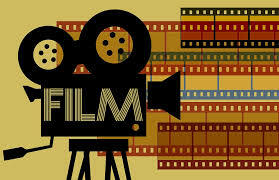 After the screening, Oryx will be talking with Dolly Sen and answering questions from the floor. Oryx's experience of extreme states and psychiatric hospitalisation is one of the stories featured in the film. This conference focuses on suicide prevention and moving towards zero suicide as the ambition. Through national updates, practical case studies and extended focus sessions the conference will take an in depth look at the effectiveness of suicide interventions, the importance of effective early intervention and crisis aversion, the experiences of zero suicide collaboratives and programmes, preventing male suicide, and an extended focus on delivering effective crisis services and emergency response. In 2013, a project was launched in Hampshire aimed at exploring how expert police intervention could support people with complex mental health needs and reduce pressures on services. 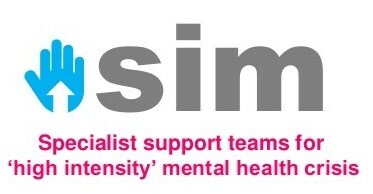 Over 18 months, the SIM mentoring model resulted in significant benefits for multidisciplinary teams and service users, including a reduction in crisis calls, risk, A&E attendance and costs, and an improvement in therapeutic and personal relationships. The model is now being used to develop best practice via an online course and professional network. Click here to download Specialist Support for High Intensity Mental Health Crisis, Developing a National Research Network (Sergeant 20261 Paul Jennings, Hampshire Constabulary). The Charity Commission recently published its annual report for 2015-16. It tells the story of how the Commission has promoted stronger governance and greater trustee oversight in charities over the last year through initiatives such as a clearer Essential trustee guidance and revised guidance on financial resilience and fundraising. The report sets out how the Commission delivered against its strategic plan and explains how it continues to digitally transform its work to achieve more with the same budget. The Centre for Mental Health’s review of evidence into children and young people’s mental health has highlighted the importance of early intervention and support for families and schools in their approach to children’s mental health. Published in June, the report examines recent evidence and calls for ownership and investment in dedicated services from pre-birth to early adulthood. 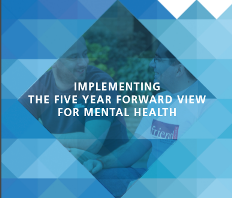 ‘Implementing the Five Year Forward View for Mental Health’ was published 20th July. It details the improvements people will see on the ground as the independent Mental Health Taskforce’s recommendations are implemented. Intended as a blueprint for the changes that the NHS needs to make to improve mental health, the plan sets out what the public and people who use services can expect from the NHS, and when. The report outlines how new funding, pledged in response to the Five Year Forward View for Mental Health, will be made available for Clinical Commissioning Groups year on year. It also shows how the workforce requirements will be delivered in each priority area and outlines how data, payment and other system levers will support transparency. We already shared these with you in previous editions. You can still register to attend these events. Don't miss out! Click on the titles or related links for more information. The House of Commons has published a library briefing paper bringing together government policies, a summary of mental health services, an overview of mental health in schools and steps to tackle discrimination and stigma. Press release dated 18 July, providing the full list of all government appointments following Theresa May becoming Prime Minister. Following the change in government, 3 new ministers have joined the Department of Health, which has meant a change in responsibilities. Seeks views on the proposed data security standards and new consent and opt-outs model for data sharing in the NHS and social care.